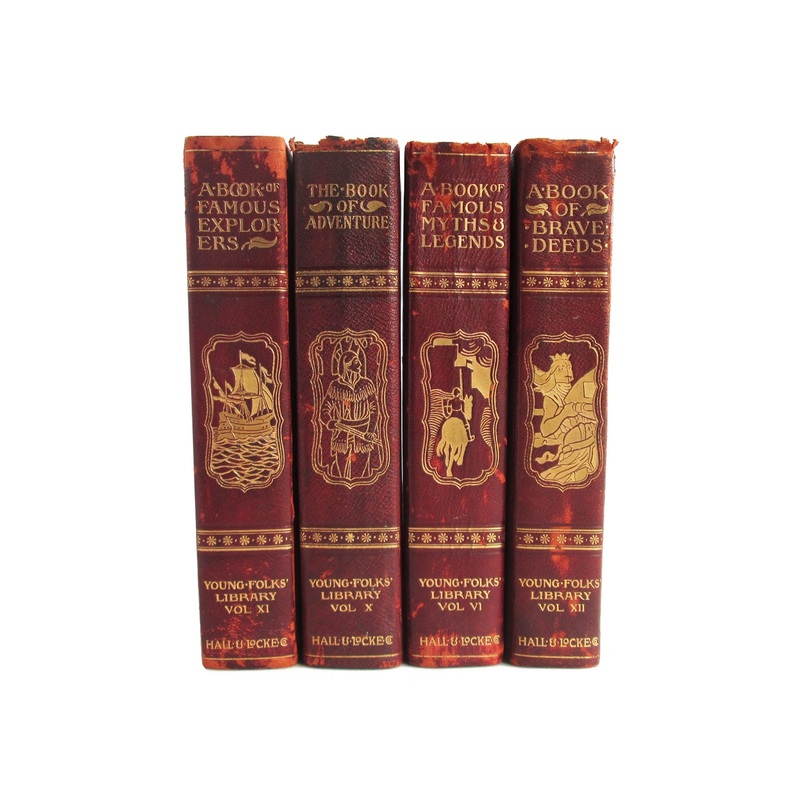 These four antiquarian books feature three-quarter red leather bindings with a gilt top edge. Leather spines are decorated in gilt. Approx. 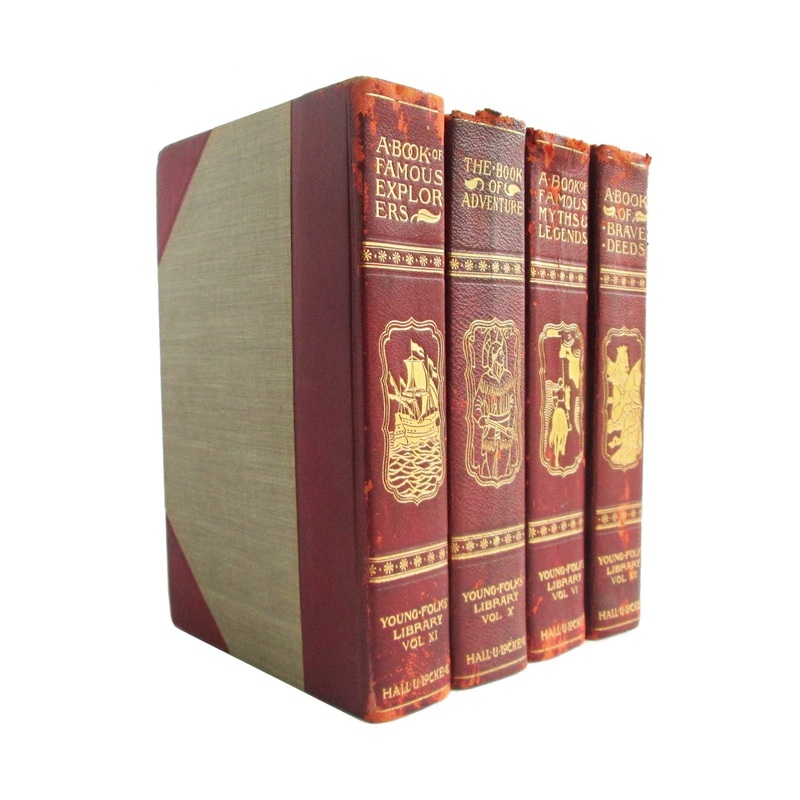 5 x 8, each volume has about 400 pages. 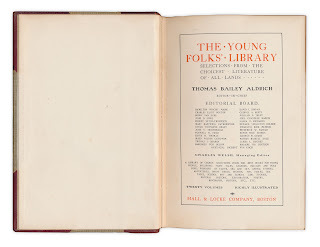 They are part of the Young Folks Library, a seminal collection of children's literature published in 20 volumes and edited by Thomas Bailey Aldrich, an American writer, poet, critic, and editor. 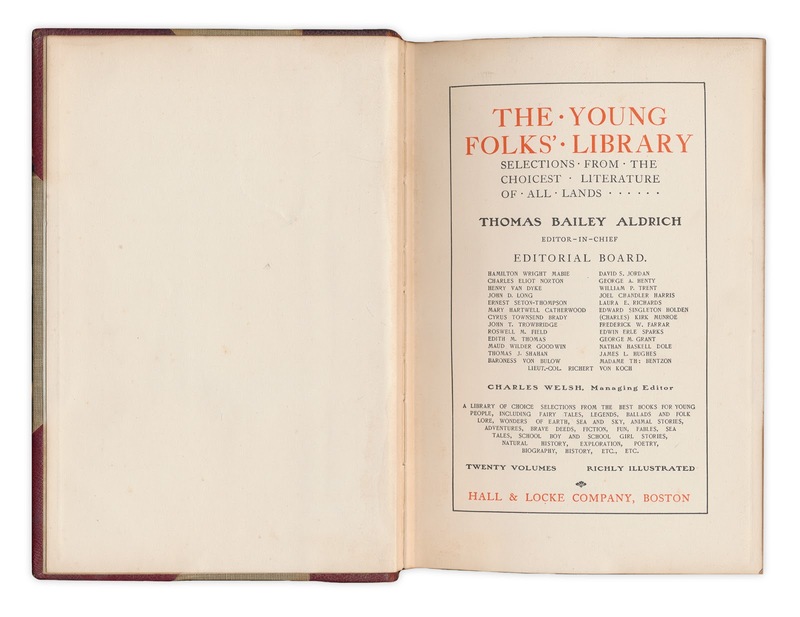 He is notable for his long editorship of The Atlantic Monthly, and his semi-autobiographical book "The Story of a Bad Boy." 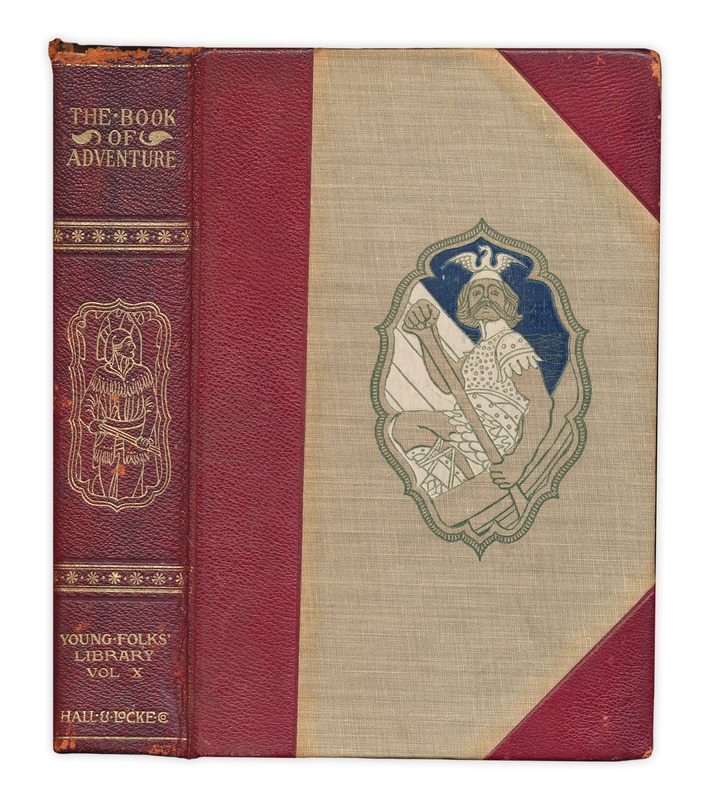 The Book of Adventure - Volume X: Tight binding, some light wear and soil. 392 pages. A Book of Famous Myths and Legends - Volume VI: Binding tight, some edgewear. Stain affecting top outer edge of textblock for the first 100 or so pages. 391 pages. 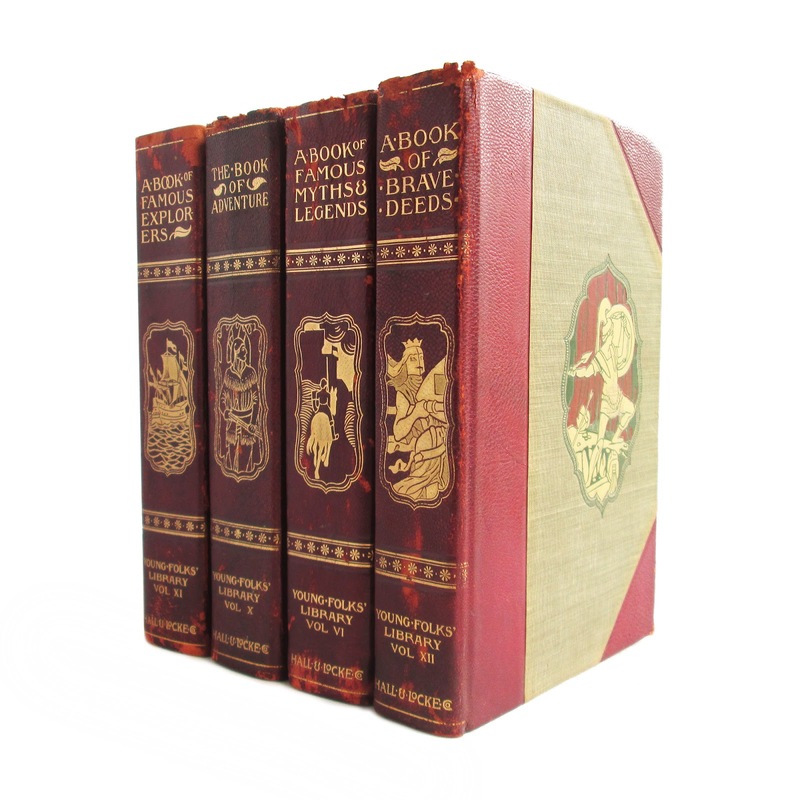 A Book of Brave Deeds - Volume XII: Front hinge a bit loose, corners bumped, some light wear and soil. 384 pages. A Book of Famous Explorers - Volume XI: Tight binding, some wear and soil, spine shows some wear. 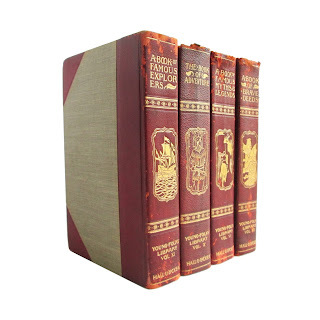 386 pages.